I went to the Charleston Quilt Show Saturday. Had to get out of the house from DS. Boy was he cranky for a few days after surgery. Pat and Deni went with me. We had a great time, of course. I took lots of pictures, but know I missed some. And ideas, wow lot and lots. Lots of vendors were there, of course. The most excited thing is my friend George Ann won Best Handquilting!!! Yeah!!! 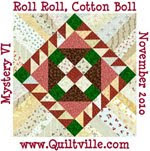 Here is a picture of the quilt. And one of the ribbon. 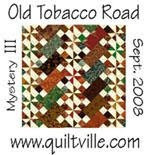 One of my favorite quilts was in the silent auction booth. Not even in the show. LOL. I may have to make one. Will add it to the long list of want too. I think wonky houses are great. It just looks like fun. I will post a few other pictures this week. I cant remember how to do a slide show. If I figure it out, I will make one. 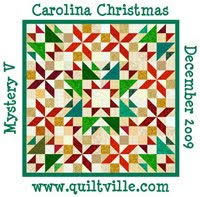 But quilting is more fun that trying to figure out computers.